Sometimes your twins get cranky and more so than just the typical witching hour madness. When you see prolonged periods of crying and completely inconsolable babies, they might have colic. Having twins with colic is hard. Let’s look at how to conquer colic with your babies. Crying lasts for at least three hours at a time. Crying fits happen at least three days per week. Crying periods last regularly for at least three consecutive weeks. Colicky babies are typically inconsolable (no matter what you try), cry at a predictable time each day, and their cries graduate to all out screaming. Babies typically get colicky around one month and out grow it by 3-4 months. You can learn more about colic here. Needless the say, having constantly crying babies is unbearably difficult. Doubly so with twins. While each of your twins may have colic, your troubles are worse because you have two inconsolable babies. Of course not all twins will be colicky and both twins won’t necessarily exhibit the same behaviors. Let’s talk about some ways to help your babies through the colic and how you can deal with the stress it causes you. The causes of colic are a bit mysterious. As such, you’ll find yourself doing trial and error to see what works and what doesn’t in calming your babies. First, check their basic needs. Do they need a diaper change? Do you need to burp them? Are they too hot or cold? If you’ve covered the basics and they are still inconsolable, try the soothing 5 “S” method discussed in Harvey Karp’s book The Happiest Baby on the Block. These soothing methods, including swaddling and swaying, can work miracles on your babies. When you put your babies down in their cribs, try putting on some white noise to help lull them to sleep. Sometimes your babies are screaming because they are in pain. Colic is often blamed on gas, reflux, or food allergies. As you attempt to calm your colicky twins, consult with your doctor and try to counter some of those potential sources of discomfort. Look into remedies for gas. These include Colic Calm, gripe water, probiotics, or gas drops. 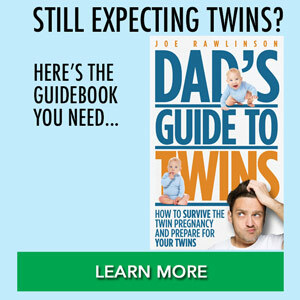 You will likely need to try different treatments to see if they work on your twins. 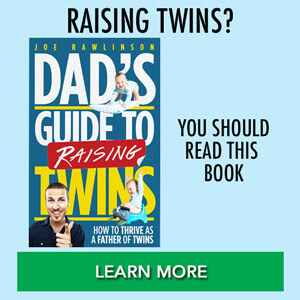 Keep in mind that each twin may react differently to treatments. If your twins are suffering from acid reflux, your doctor should be able to prescribe some medication to help. Your twins may be having allergic reactions to the food they are eating. When they are still infants, the food is likely breast milk or formula. Some parents find relief for their babies by changing the type of formula they are using. Talk to your doctor about getting your babies tested for food allergies and then adapting their diet to avoid troublesome foods. In our house, we’ve had children with food allergies to milk, soy, eggs, and more. Baby formula is most likely to have soy or milk. Try to identify any potential allergies your twins may have and change their diet to accommodate those needs. It isn’t your fault that you have twins with colic. You need to cope and get a break so you don’t lose your mind. Remember: you can put your babies down! Put them down safely in their crib and let them cry. You can even leave the room and close the door. Check on them regularly but don’t try to soothe them forever since it won’t work! Get a break. Take some deep breaths and recenter yourself. During the peak colic times, take turns with your spouse so you don’t bear all the burden yourself. Bring in reinforcements during worst times of day or to help with other children. Invite your friends, family, or pay a babysitter to help offset some of your load. Having twins with colic will beat you down. Hang in there! You can make it through to the other side. Here’s how one family survived colicky twins. Colic doesn’t last forever! Like potty training, your twins will eventually get through it. 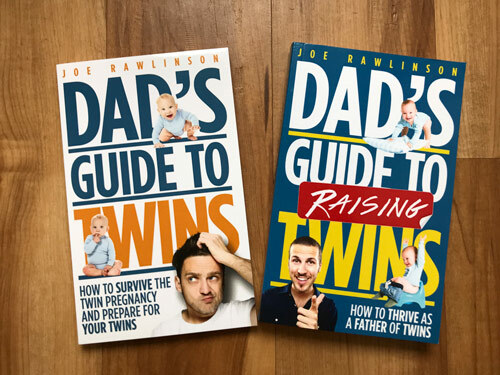 By the time your twins turn 4 months old, they should grow out of the colic and you’ll have your cute and happy babies back.